Our King High Remembers Senior Committee had the distinct pleasure of interviewing some of our nation’s veterans at Country Village Senior Living Community in Mira Loma, California. Thank you to all the service-men and women who participated in this awesome day. Your service and stories are greatly appreciated. We also want to thank Country Village for their hospitality. Why do we do King High Remembers? We all have different answers. We do it for the kids, we do it for the community and we do it for the veterans. We want to remember and preserve the stories of the past. We want to honor those who have served. At the beginning of each King High Remembers event, our Project Coordinator John Corona reads our Final Roll Call, the names of the veterans who have participated in our program and have passed. With each year, our hearts grow heavy as the list grows. Their names are added to hundred of thousands of men and women who have made the great sacrifice to give us the opportunity to live free. With much love and respect, we thank them for their service. So please, when you’re enjoying this lovely 3 day weekend filled with food, family and friends, take a minute to remember. Pardon for our huge hiatus! We have been quite busy at King High School. The beginning of 2nd Semester means we are in full swing of King High Remembers planning! Please let me introduce myself. My name is Jalyn Barnard and aside from teaching, I am what John calls our program’s “Operations Manager”. I am in my 9th year of teaching and King has always been my home. 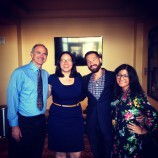 I love my job, I love my colleagues and I love our veterans oral history project. I started teaching during the 2006-2007 school year. I was 23 years old, a mere 5-6 years older than my 12th grade students. I knew we had a program called King High Remembers but I didn’t really “know”. We now-a-days joke that you don’t truly understand what the program is like until you’re smack dab in the middle of it, surrounded by hundreds of people laughing, joking, taking and crying. As a newbie teacher and newbie KHR team member, Micki Ward took me under her wing. Micki was John’s right hand – woman at the time and I knew the night they took me out to dinner they were grooming me for something. My first year teaching, I had 2 classes of US History kids who I broke down into groups. These 25 or so groups of kids had “their vet”. That morning, I had no idea of what I walking into and seeing it for the first time is almost indescribable. I was in awe. I just knew, I was a part of something special. I gravitated to a group of kids who had the sweetest man. His name was Lou. I lingered and listened for a while and then moved onto other groups, but I kept coming back because he kept making the kids laugh. When I came back a second time, I joked, “if my kids aren’t being good, you tell me! I’ll take care of it!” He looked at me with a smile and a laugh and said, “You’re their teacher?! We’ll come on over!” He started to show me magic tricks. I can’t tell you what tricks he showed me, but I can tell you how at ease he made me feel. It was my first year teaching and I had a whole set of worries. I felt too young, too nervous and not teacher material. 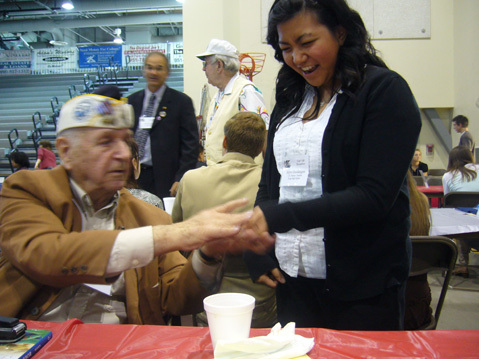 He joked and make me laugh and drew me in with his story of being a Pearl Harbor survivor. In between his jokes and stories of how the ladies love him, he would slip in his stories of flying, but before it got too sad, he would pull a dollar from behind your ear. Years later, King held a “salute to veterans” football game. We invited the vets, and I sat with Lou for a chunk of the game. He was in his walker and didn’t want to make a big fuss, so he sat on lower level away from most of the other vets. 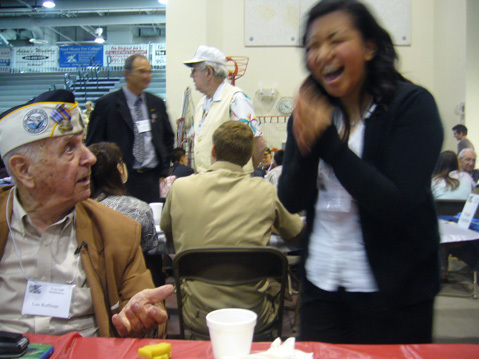 He talked with me about going to Hawaii for a Pearl Harbor reunion, he told me stories about the shenanigans he got into when he was younger and he slipped in a ton of jokes and laughs. I rode with him in the golf cart to shuttle him back to his car (which was decorated with a small American flag and Pearl Harbor Survivor Plaque. He endearingly left his car unlocked!) I helped put his walker in his car and away he went with a smile, a joke and a laugh. Lou passed in 2012 and while he probably didn’t remember those brief encounters with me, I sure do. They stick with me. This was a program that didn’t just mean something to the kids and the school, but it meant something to me. So that my friends, is my story of my first vet and my first King High Remembers. Each year, my list of vets grow. When I sit on the phone and chat with them, when I stop and listen to a story, when they email, when they want to give us their thanks my heart just grows more and more attached. I see the value these vets and this program give to my classes. For many of these kids, King High Remembers is a “right of passage”. They want to be a part of something that that is just so special. So I tell my students, that’s why we do all this work. The long nights, the crazy weekends full of catching up and all of the time spent over the summer to plan is worth it when you walk in and see the magic that happens. Jalyn and Lou. King High Remembers 2007. 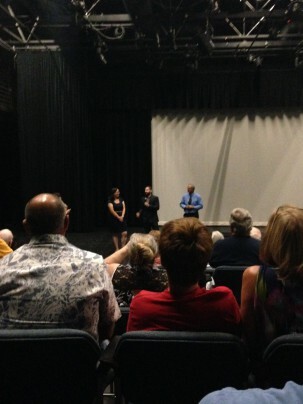 In March of 2012, King High School Remembers was approached by Filmmakers Brandon Krajewski and Michelle Opitz. Brandon, after seeing a news segment about King High Remembers (while he was working out at the gym!) was inspired to create a documentary which would highlight the process in which King High Remembers works with veterans and students. Brandon teamed up with his friend Michelle (both coming from military backgrounds) and the labor of love began. We as the teaching team thought, “Yeah right, someone really wants to film a documentary about our program? Why? No way its ever going to ACTUALLY happen” But then it happened. 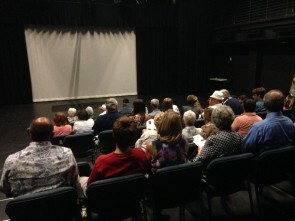 The district approved meetings, papers were being signed and this movie-thing actually seemed to be moving forward. After meeting with Brandon and Michelle, we could see their passion and knew these two along with their team were going to do their best to capture the spirit of our program. Little did we know, how special this project would really be. Hours upon hours of footage was filmed. 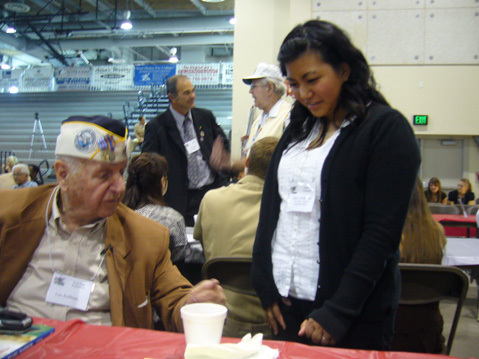 They interviewed veterans, students and staff. They filmed planning, events held outside of King High School, set-up, the “big day” and the aftermath. They cut it down to a beautiful short film that already has won an “Best Documentary Short” at the Amsterdam International Film Festival. It has become an Official Selection at the Riverside International Film Festival and we were excited to hear that it is also going to be shown at the Rhode Island International Film Festival. We wish them well and luck and hope that other people see this film and become inspired to start something of their own in their schools. Brandon and Michelle, if you guys are reading this- You both are passionate, dedicated and talented individuals. You’ve created something you guys should be so proud of. 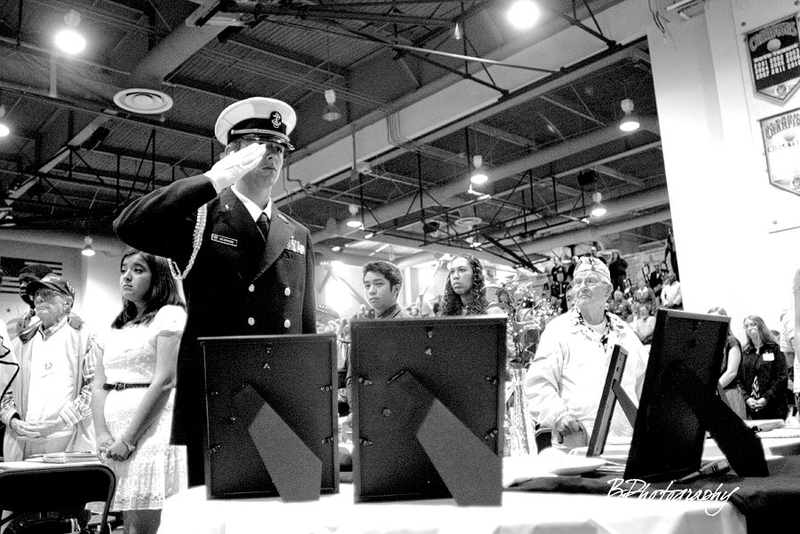 You’ve touched not only our hearts, but of the veterans who truly do not believe they are anything special. You’ve got life long cheerleaders from here on out. Waiting for the films to begin. 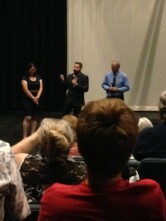 Michelle, Brandon and John during the Q and A. After a month of working on the website, we are proud to bring you a fresh new look and updated content Please check out the website for new pictures, news stories and veteran narratives. 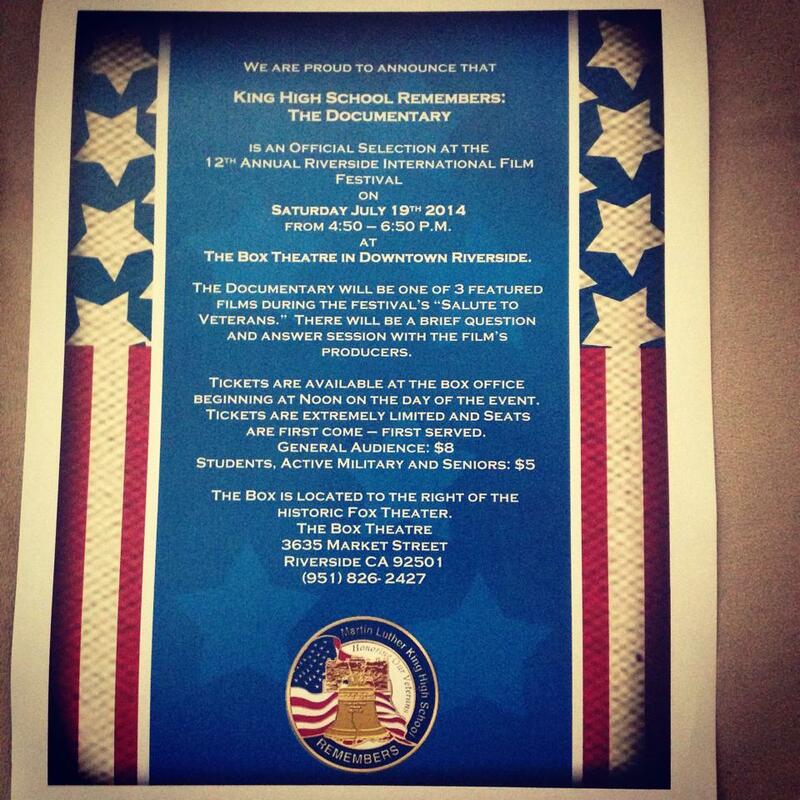 We are also proud to announce that King High Remembers: The Documentary is an official selection to the Riverside International Film Festival and will be 1 of 3 featured film’s during the “Salute to Veterans” block of films on Saturday July 19th, 2014. 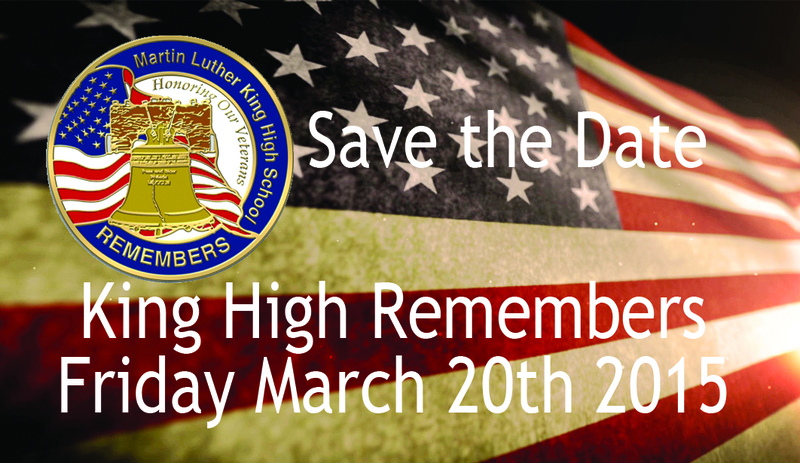 Check back here often as well as our facebook, instagram and twitter for updates and news about King High Remembers. We thank you for the support! A throwback to this past years event. John, our Project Coordinator, takes in the gym as we get ready for the day. Please check in with us in these upcoming months for updates to our site! 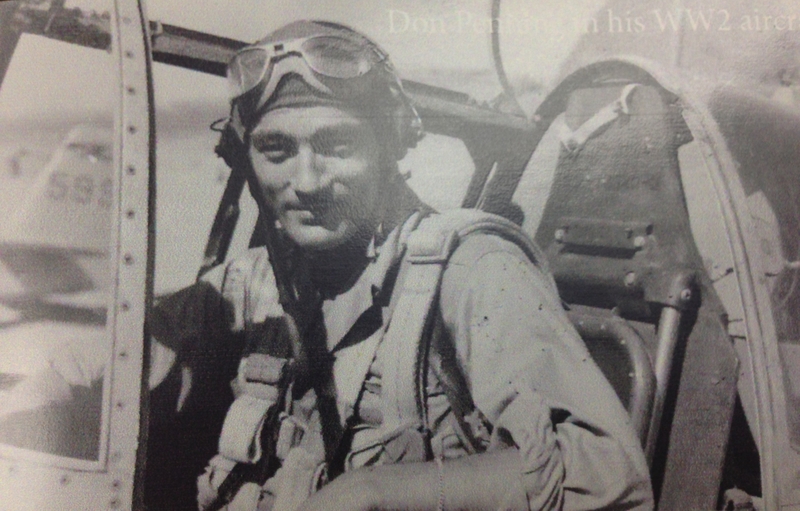 Don Penning in his WWII aircraft. In the last few scenes of the Academy Award winning film, “Saving Private Ryan” Captain John Miller, played by Tom Hanks, rallies a group of GI’s in the defense of a French crossroads town in the early days of the invasion of Europe in 1944. Miller is mortally wounded and as a German tank moves toward him, threatening to overrun their position, he proceeds to fruitlessly shoot his .45 caliber pistol at the menacing monster. Suddenly, the tank explodes. Miller looks skyward and sees the American planes that have put the tank out of commission. Soon we see U.S. Army reinforcements streaming into the village and the battle for the village is over. “Angels on our shoulders.” replied Miller, shortly before he passes on. It was always a welcome sight during World War II (or any war for that matter) when American infantrymen on the ground saw American planes in the air above them. A good part of the job for the pilots of those planes was to protect the guys on the ground; to give them cover and to make it as safe for them as possible as they moved forward. They were often a great security blanket. This is the story of a pilot that did that job long after the war was over. 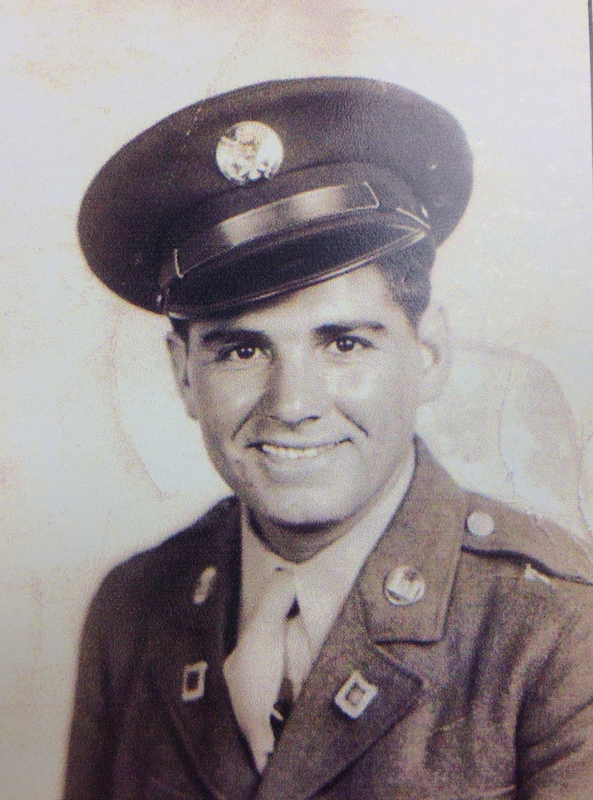 My father, James Corona, was 91 years of age and was really in pretty good shape for his age. Oh, he had some issues but they were being treated and he had just kept going- working on his farm the same way he did since 1955. However, lately, he had trouble breathing. That coupled with chest pains caused us to get him into the hospital. He was admitted to ScrippsGreenHospital in San Diego on Monday July 18, 2011. His roommate was Don H. Penning. Don was from Oceanside, Calif. and was in far worse shape than Dad. He had congestive heart disease and had been told by the doctors that he had a month to a year left to live. They had done all they could. 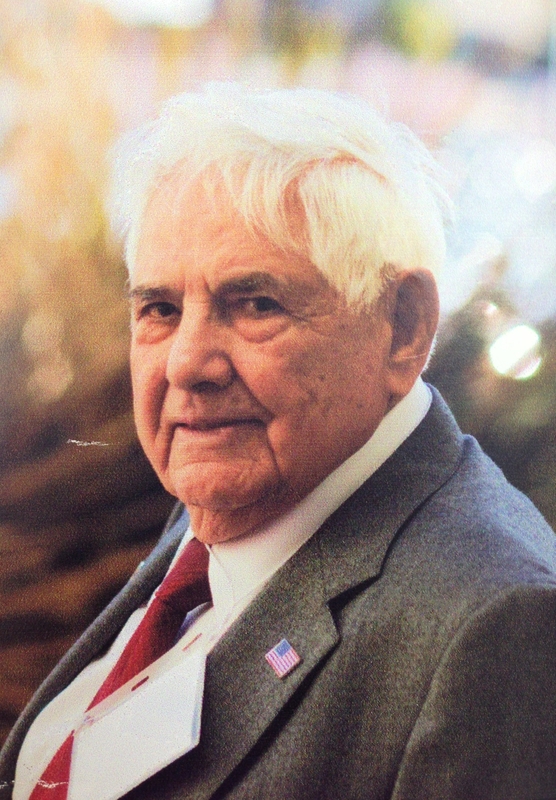 Don was 90 and he seemed at peace as he informed his family of the doctor’s findings and prepared for the eventuality of hospice. Dad would eventually have a stint put in to help with the chest pains but the doctors had seen some things in his chest x-ray that they wanted to check out and so he would have to stay in the hospital for a couple of more days. Both were scheduled to be discharged on Friday. The two of them talked to each other, joked with each other and were active in trying to charm the nurses into giving them more ice cream. On Thursday night, they talked for a long time. Don told me later that one of the things they discussed was their mortality. “No regrets” they said. There wasn’t much that either of them would have done over. They felt that they had lived good long lives. I made a point to see Don before he was discharged to let him know what had happened. When Dad’s stroke hit, the hospital staff went into “Code Blue” and they got Don into a wheelchair and off to another room. I found him sitting up on his bed preparing to leave. “What happened?” he asked me earnestly. I told him the whole scenario and I thanked him for being so diligent with Dad through the night. I told him that our family would never forget it and that there was great comfort in knowing there had been someone to look out for him. His eyes welling up, Don shook my hand and said “He’d have done the same for me.” It meant a lot to me that after only four days together, he knew enough about my dad to say that about him. Don was right. If the situation had been reversed my Dad would have done the same for him, no doubt about it. Don passed away in December 2011. In the fog of grief that one experiences during times like this, I came to a very firm conclusion. It is my belief that my Dad and Don, two old veterans, becoming roommates in that hospital was no coincidence. It was no accident that there was one old vet in that room taking care of another old vet. It was no accident that an old pilot worked through the night trying to protect the old infantryman just as he had done almost 70 years before. It was meant to be this way. For my Dad, James Corona, Don Penning was the Angel on his Shoulder.